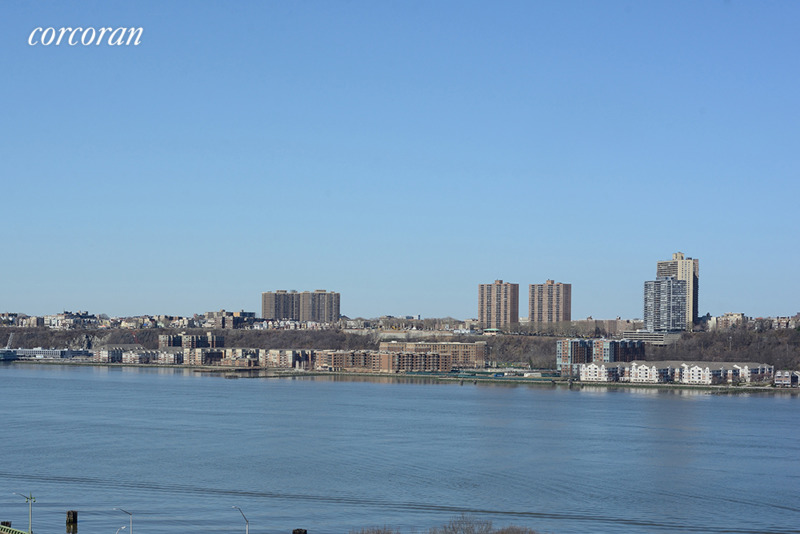 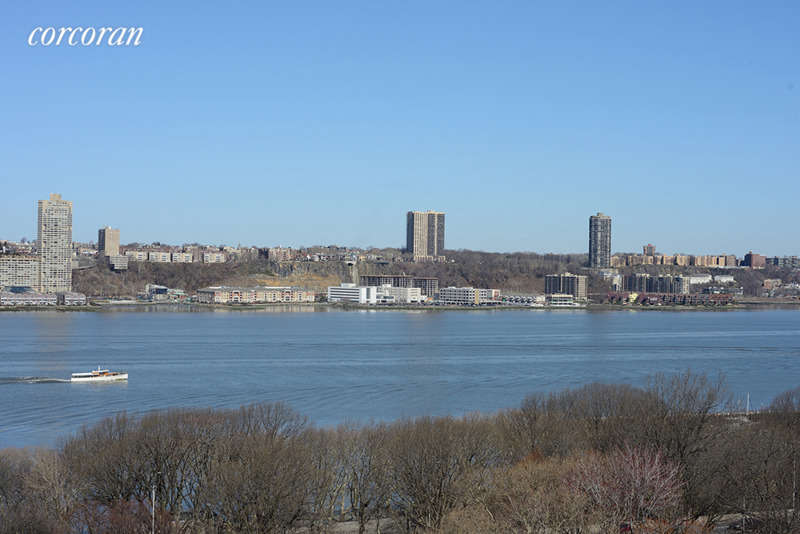 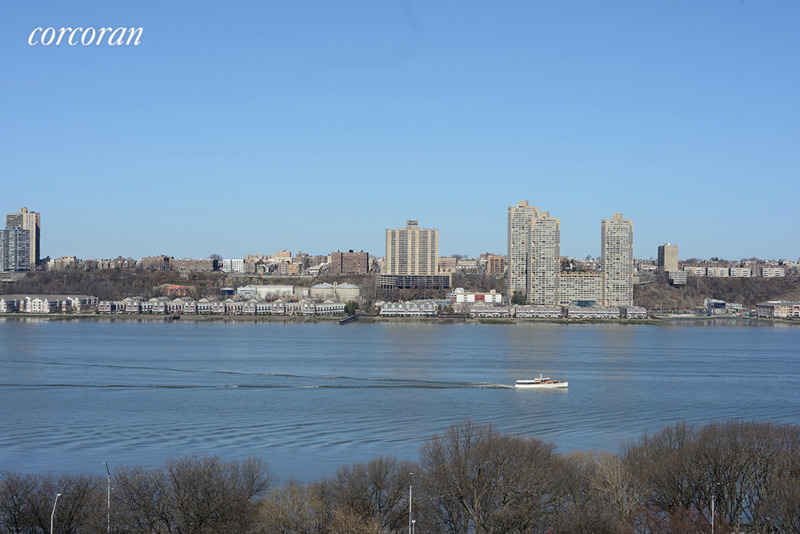 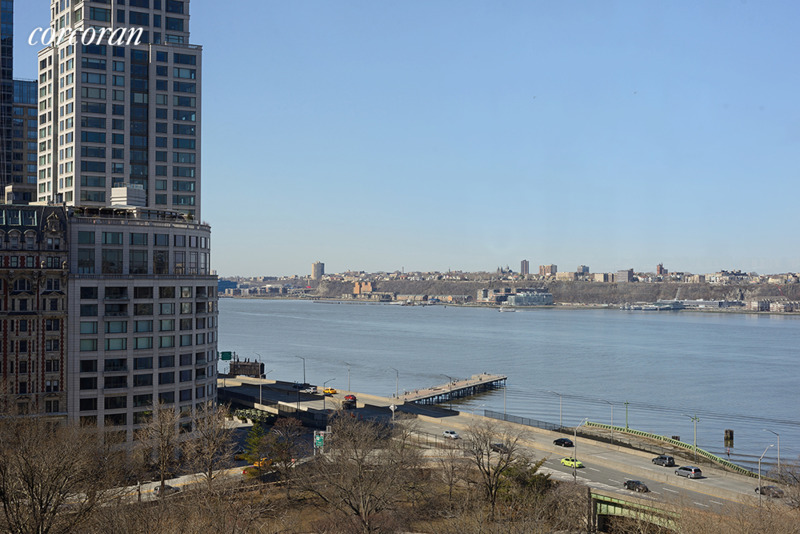 A rare offering on Riverside Drive is this gorgeous full-floor-and-a-half corner 9 into 7-room duplex prewar condo boasting 360 degree open views with a breathtaking panorama of the River and Park from every room! 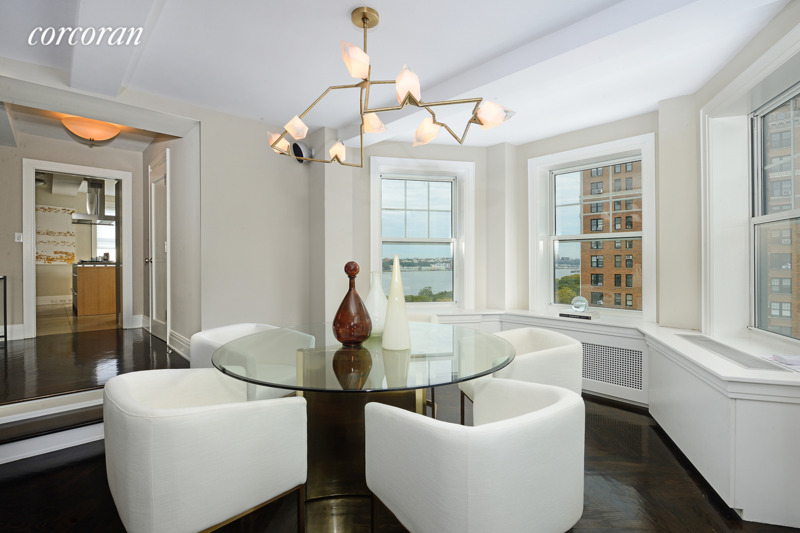 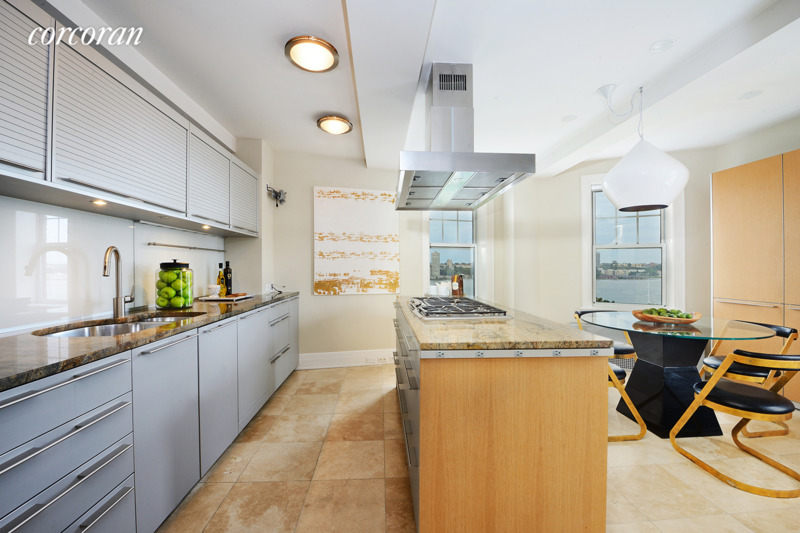 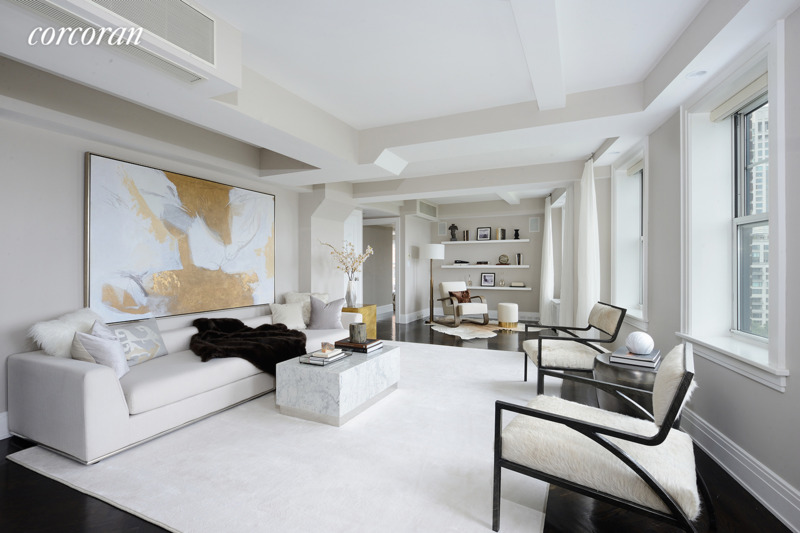 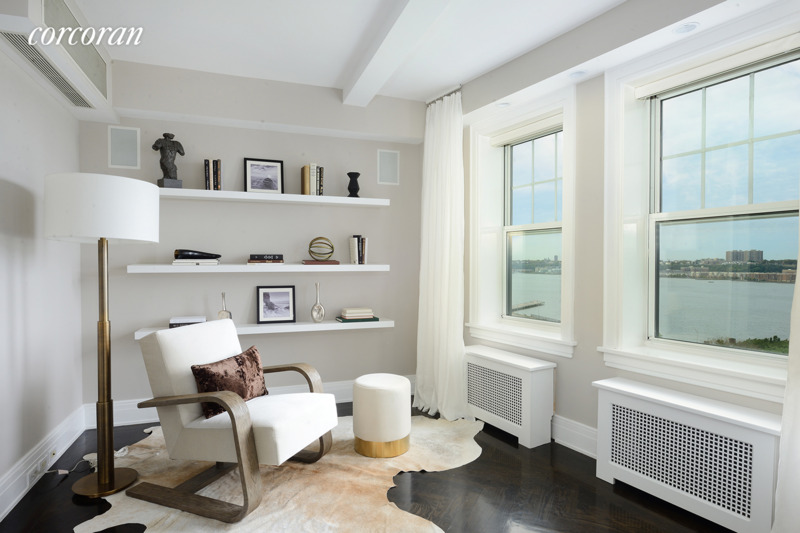 Impeccably renovated this high-floor apartment makes up the entire 12th floor and half of the 13th floor of 22 Riverside Drive, a grand prewar condominium, creating four wide open exposures through 29 windows showcasing one of the most desirable vantage points in the city. 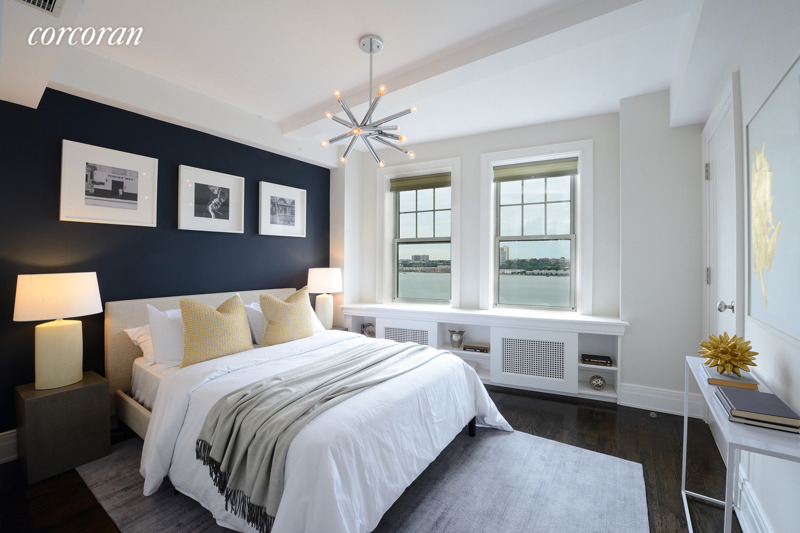 Magnificent sunsets over the River and an incomparable seasonal perspective are but a few remarkable benefits of owning this beautiful home. 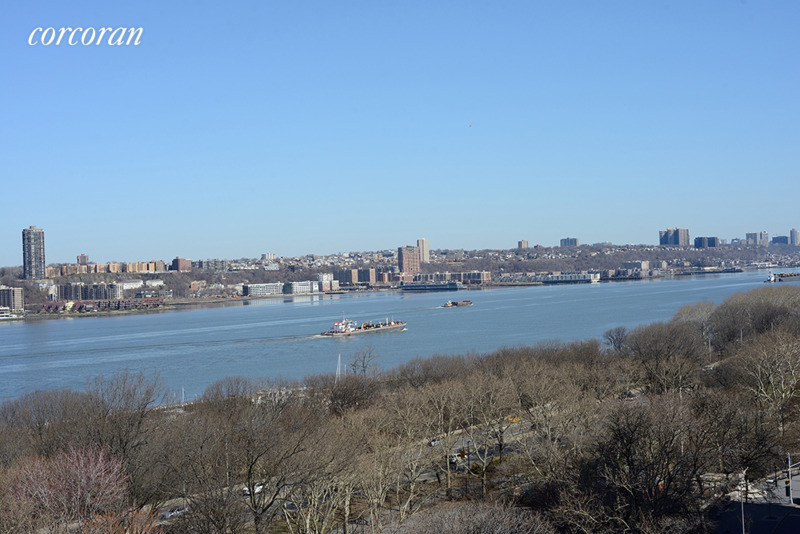 Uniquely positioned high atop one of the widest points in the Park, the views offer one of the greenest perspectives in the city! 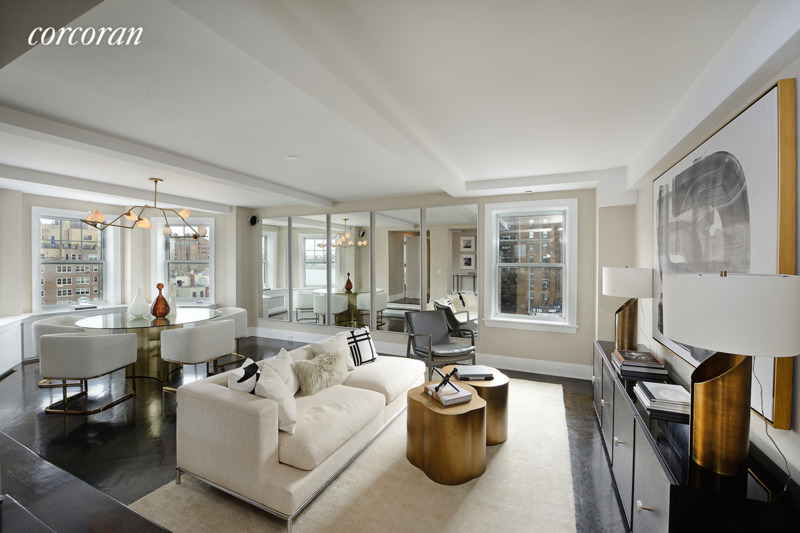 The elegant layout features a fantastic balance between formal entertaining and living and features four bedrooms-easily convertible to five-and three-and-a-half marble bathrooms. 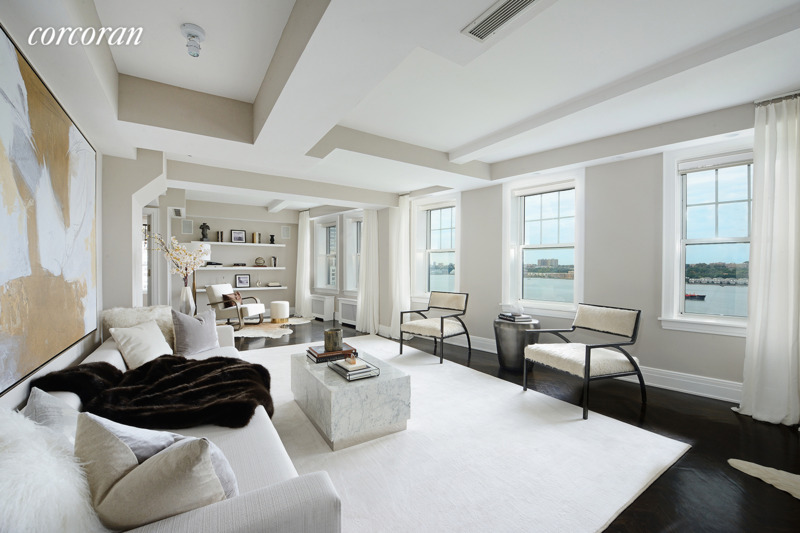 The first floor of the home presents vast open formal spaces including an expansive living room on the River with seven windows showcasing fabulous River views, a spacious formal dining room that has plenty of room for a den-media room as currently configured, a contemporary gourmet corner eat-in kitchen and powder room. 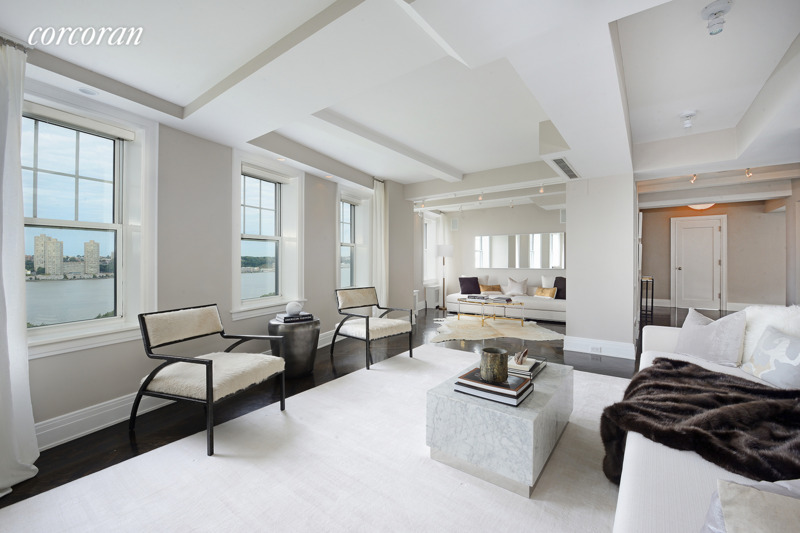 A luxurious serene corner master suite and generous storage completes the first floor of the home. 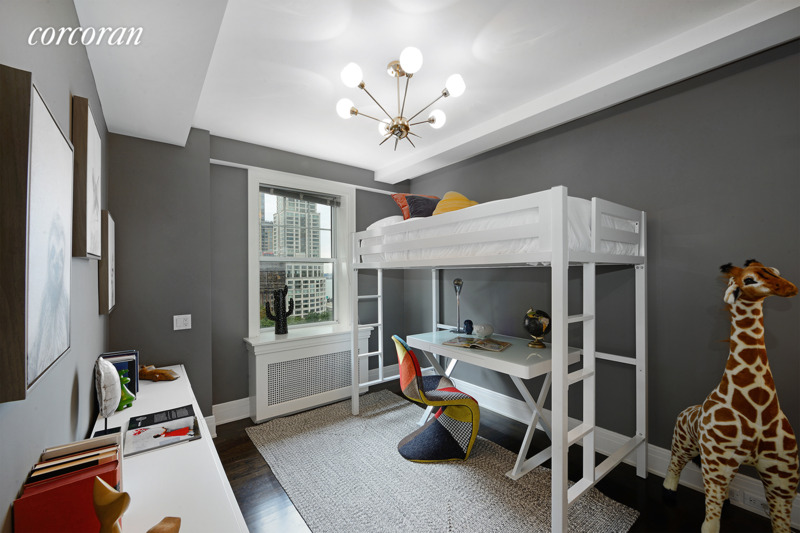 The bedroom wing on the second floor features three bedrooms, two full bathrooms and laundry. 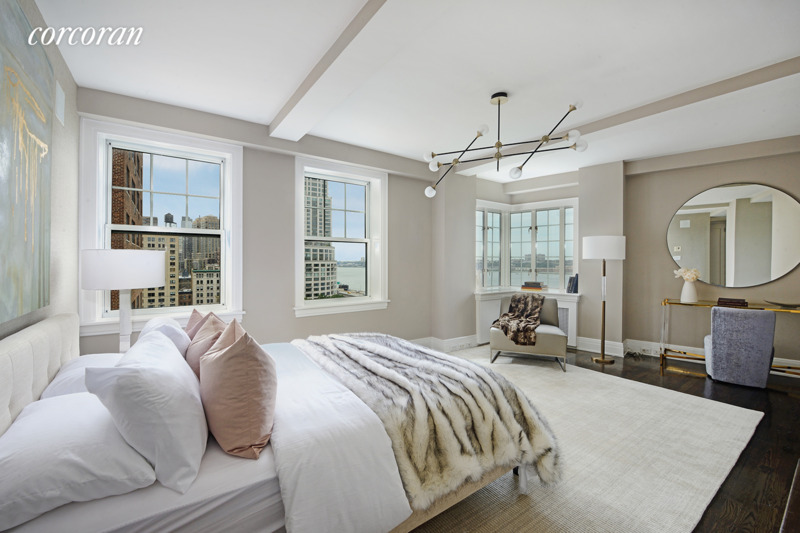 Stunning high-end finishes and old world details are found throughout the home including gorgeous walnut herringbone and hardwood floors, beamed ceilings, pristine moldings and elegant marble Waterworks bathrooms. 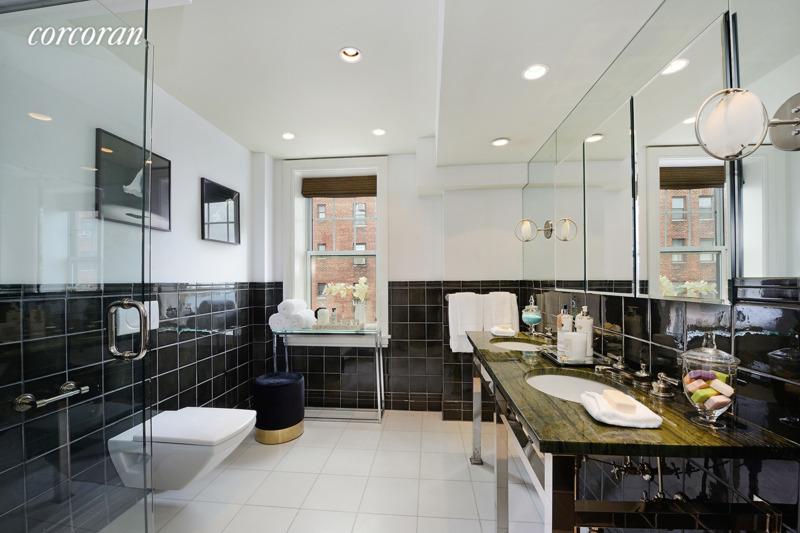 Modern comforts include central air conditioning, laundry, built-in Niles audio system, electronic shades, professional stainless steel appliances and generous custom-designed closet storage. 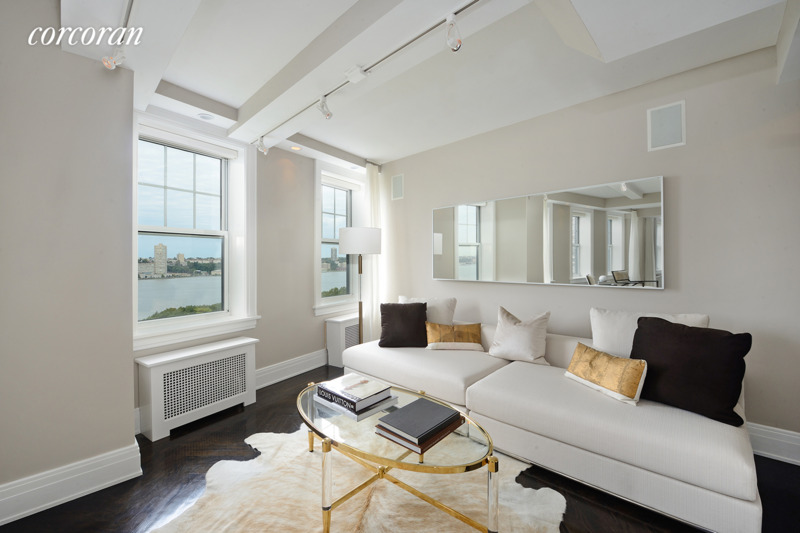 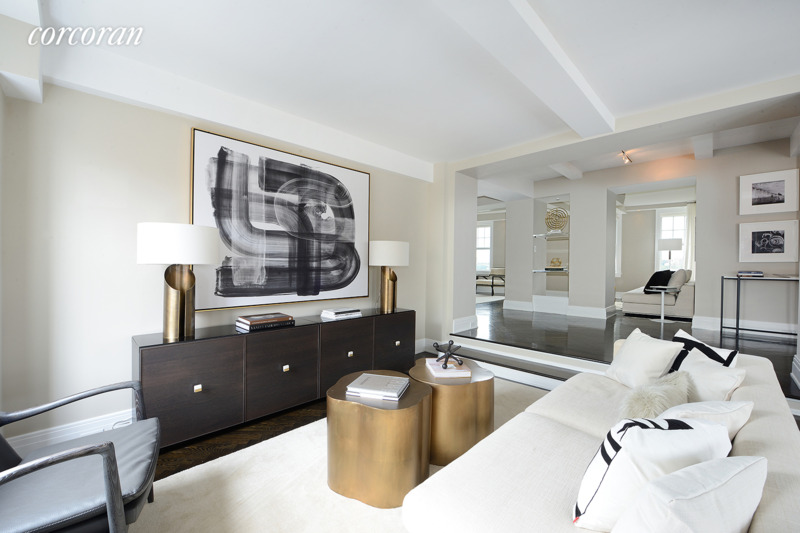 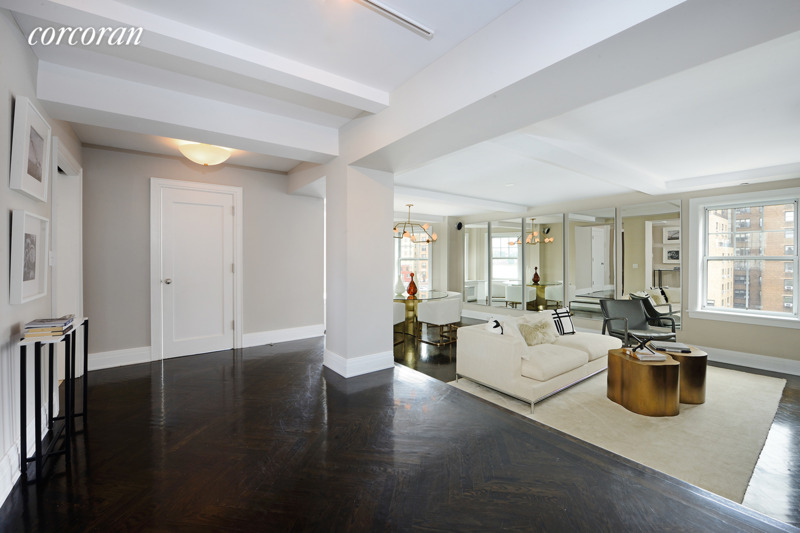 This home is truly special – offering one of the most sought-after perspectives in the city!